EXTREMELY IMPORTANT>>>>>we always provide the proper amount of cement powder in the concrete mix we can for the PSI (strength). Where as many other companies send u the cheapest mix possible that will not even meet the strength (PSI) required or stated. They hand write you a ticket that they can put any numbers on . Many times it is up to a sack and a half (120lbs) + of cement powder (LESS) per yard of concrete. This cement powder is what holds the sand and rocks together; it’s like glue if you don’t have enough glue in your project your project will fall apart. Their price might be cheaper but the quality is far less, and that can cost u many more $$$ in the long run, if u have to tear it out in a year. Here at ASAP we always provide the correct amount of cement powder for that PSI concrete. This helps to insure your concrete will be much stronger and last much longer over time!! 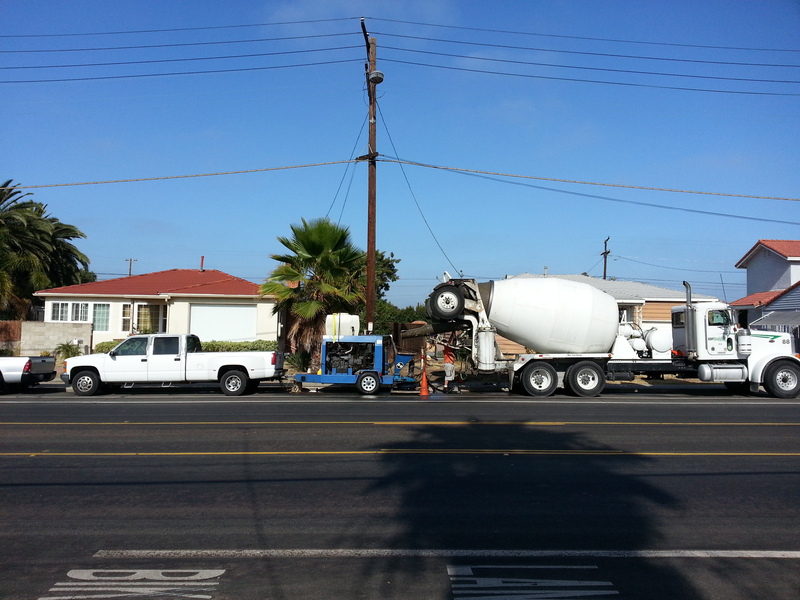 WE LOOK FORWARD TO BEING YOUR CONCRETE DELIVERY AND PLACEMENT(Pumping) SPECIALISTS! ASAP (ALWAYS SUPERIOR ALWAYS PROFESSIONAL) 619-414-3300 , 619-414-3300 , 619-414-3300 !!! 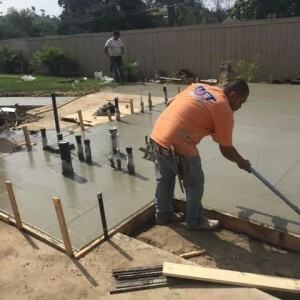 WE LOOK FORWARD TO BEING YOUR CONCRETE DELIVERY AND PUMPING SPECIALISTS! Concrete pumping really makes a concrete job go much easier. Many times u can have up to 2 less workers on the job if u use a concrete pump. Also it much better and easier for concrete wash out. Every thing gets washed back into the truck. This saves u from needing to provide a concrete wash out or for paying standing time for an environmental wash out. When u call ASAP READY MIX CONCRETE DELIVERY AND PUMPING the pump and Concrete always arrive in a timely manner because it is 1 company and we schedule together for only our jobs. That can save you so much in standing time charges $$$ waiting for the pump or the concrete. This way u can focus on getting your job ready I will handle setting up the delivery and pump!! We also can handle large jobs too. We have multiple trucks available for those larger jobs. Our concrete is batched at certified Cal trans inspected and calibrated plants so u really get the MIX U WANT! Color concrete is also available. We use liquid colors by Davis Colors. If you need to hire a FINISH crew that u can REALLY depend on we can also supply them . They are very dependable and have been working in San Diego for many years. And I work with them as an integrated team because we have worked together on many jobs… My finishers can also set forms if needed. We prefer staying with finishing.